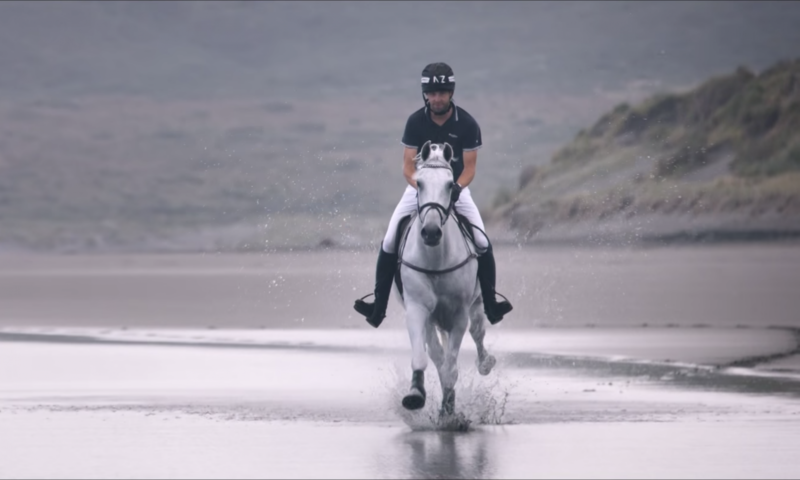 Blue was brought by Clarke’s parents as a 6 year old from Paul O’Brien and together they went on to achieve many top results at 3 and 4 star around the world. With Blue, Clarke achieved his first Championship team selection where they won team bronze at Kentucky WEG 2010. Together they also placed 6th individually at the Aachen World Equestrian Festival 2011 and was best of the NZ team which Clarke rates as one of his best results to date. Another highlight was winning Sydney World Cup 2011 and going on to win the 2011 World Cup Series. Unfortunately, injury at the final selection trial ruled Clarke and Blue out of London 2012. A wonderfully generous, as well as talented horse, Clarke could not have had a better partner to experience the top of the sport. Oakley was Clarke’s first horse when he came off ponies and together they went from Pony Club to 4 star and NZ senior team representation. Although not an easy horse, he was hugely talented and really kick started Clarke’s career. Together they also won the NZ Young Rider Show Jumping Nationals in 2006, the same year they won Kihikihi World Cup Qualifier with Clarke becoming the youngest winner. He is retired on Clarke’s parent’s farm, babysitting the young stock. Gilbert was purchased from Clarke’s friend Christopher Burton in Australia in 2009. They were prolific winners in NZ with the highlights being the Advanced National Three Day Eventing title in 2011. Shortly after Clarke moved his base to England to prepare for London Olympics and Gilbert sustained a career ending injury. Breeding: NZ Thoroughbred by Sporting Show out of Flow Gate. Ollie was brought from Lauren Enright as a 6 year old with the intention of selling him on. But with his exceptionally careful and scopey jump and trainable brain Clarke decided to keep him and take him through the grades and he just continued to improve. In 2011 they completed Clarke’s first Burghley 4 star where they produced a fantastic double clear finishing in 17th place. They also represented New Zealand on the senior team at the Aachen World Equestrian Festival in 2013. Ronnie had an unusual start to his Eventing career having spent his first 4 or 5 years after racing competing as a Show Hack with part owner Natasha Otto. With Tash they swept all before them, winning the ‘Horse of the Year’ title four years in succession and 10 ‘Horse of the Year’ titles in total! Deciding that Ronnie was ready for a new challenge, Tash’s husband Richard then rekindled his eventing career with Ronnie and competed him at Pre-Novice level in the spring of 2010. Clarke was lucky to take over the ride and they went on to compete up to 3star level in England with some creditable results before Ronnie returned to NZ where he represented New Zealand on the Young Rider Oceania Team with Sarah Young.